South India LTC Tour Package-..
Holiday Travel is a highly experienced LTC Tour Operator in India providing the one-stop-shop solution for researching, planning and booking LTC Holidays for more than 100 destinations in India and worldwide. Based on our extensive destination research, experience and skilled travel consultant's expertise, the goal is to be a very responsible and trusted advocate to our fellow travelers. We are having higly skilled professionals in LTC industry or any kind of travel needs. Just call us or drop a mail and we will take care of all your travel needs. If you are planning to go any where in India or abroad we are ready to help you anytime. 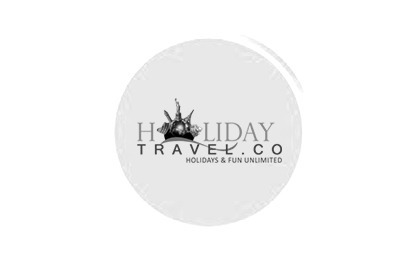 Holiday Travels focuses on providing help to people to travel with comfort especially in India. For this reason, we have listed a good number of tour packages to choose from. If you are into adventure, we probably have one for you. If you are into culture, then you have come to the right place. Our staffs are routine travelers with proven track records. Should you require assistance on travel itineraries, booking, or travel advice in specific countries, please contact us and we'll be more than happy to help you out. Passenger can cover both International and domestic sectors in LTC full fare option. Few government organisation allows to visit the farthest point in India from the palace of posting, few of them allows to visit international sectors only after visiting farthest point from place of posting in a circuitous route and last but not the least travellers from few organisation can also cover international sectors without bothering of touching the farthest point. Passengers traveling to international sectors should also keep the taxation rules in mind as these sector are always taxed more than domestic sectors. Since the maximum possible claim of such travels are clear most of the time, international travellers can touch any point in the world within budget or by paying extra.